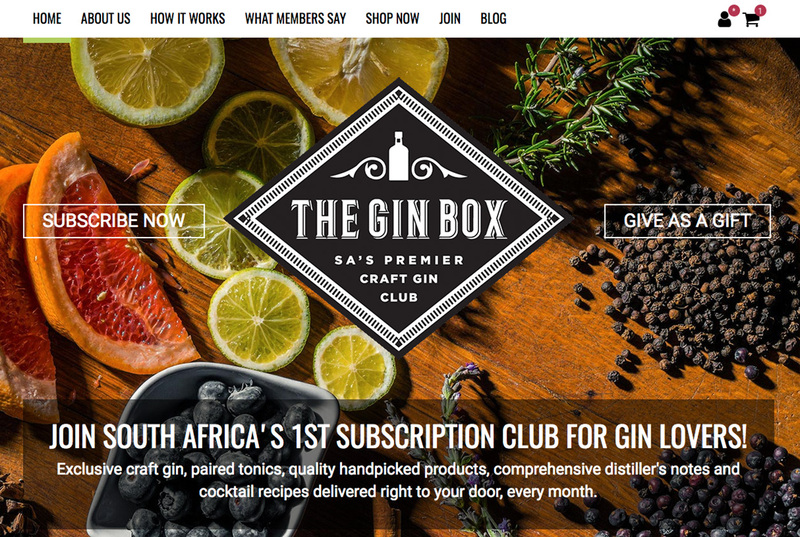 The Gin Box is South Africa’s first Craft Gin Club for a nation that has passionately caught gin fever. On a monthly, bi-monthly, quarterly or ad hoc basis (gifts, for example) we courier a magnificent box to any gin lover nationwide that showcases a small batch craft gin with unique tonics that accompany the gin and hand-picked gourmet food items that complement the pairing. Why is this unique, or even important? South Africa is experiencing a gin revolution at present led by the unique botanical ingredients that local distillers are incorporating in their gins, that the rest of the world does not have access to – rooibos and fynbos among two of the most common examples. In this brave new world of gin, many drinkers are often apprehensive to try new brands, not knowing where to start, where to buy them, what to pair them with, the creative garnishes to offer, and the backstory that can be shared. After all, if you’re going to offer a drink like gin, there’s only one way to do it – with real flair and finesse!